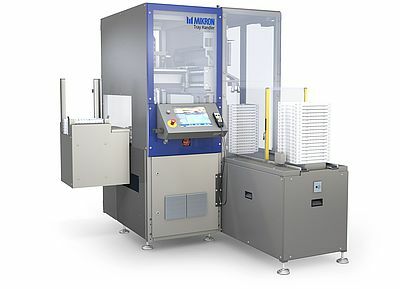 Standardized tray handler for Mikron automation solution. Mikron EcoPal tray handler system is a competitively priced, flexible feeding system. It is designed for parts that are sensitive to damage or contamination if fed using other methods such as bowl feeders. Mikron EcoPal is ergonomically designed and highly adaptable to various types of industrial trays used in the medical, automotive, electronics and other industries. 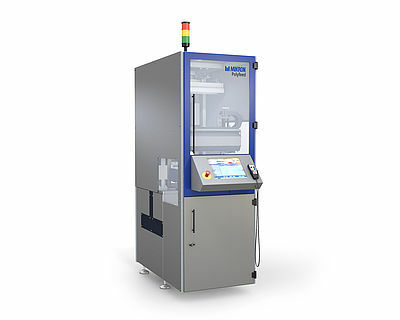 It is capable of handling tray sizes from 200 mm x 300 mm to 400 mm x 600 mm. Medium to high autonomy is available due to a design that allows buffer size to be extended with ease. The highly standardized design coupled with many standard function modules available also allows it to suit all applications for our customers. Standardization reduces our lead time and increases reliability and quality for our customer. The Mikron EcoPal is fully compatible with all Mikron solutions. With open architecture control systems, integration with customer production systems will be seamless.